SioMai (shoo-mai) commonly known as steamed dumplings, is one of the dishes brought to the Philippines by the Chinese immigrant, Ma Mon Luk. I told you about his inspiring story two posts ago. If you didn’t get to read it, check it out here. 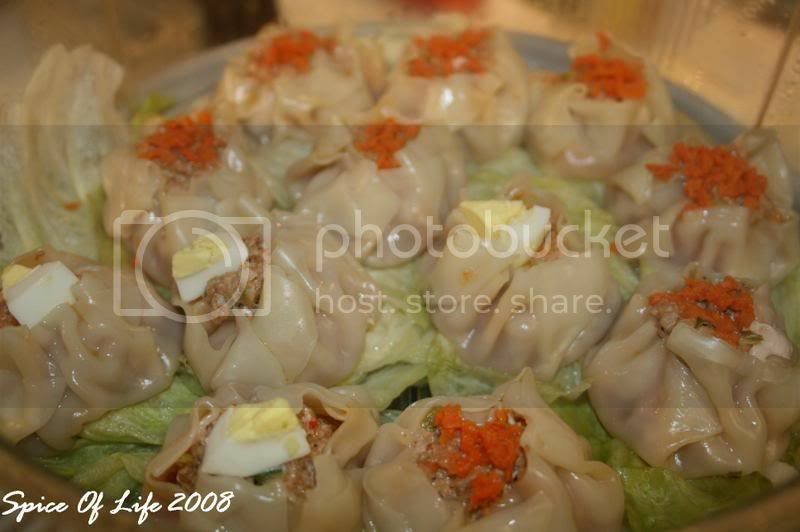 This food is a dimsum staple in China or Hongkong. What I like about this dish is the fact that it is steamed. Steaming leaves the ingredients’ essential flavors and textures intact. Also, it is a healthier way to cook, yes?. It does take lot of time to prepare, so as a warning, do this way ahead of time when your tummy has not began churning yet. The actual steaming of these wonderful little bites don’t take time, it’s the stuffing and wonton wrapping action that does require a bit of patience. 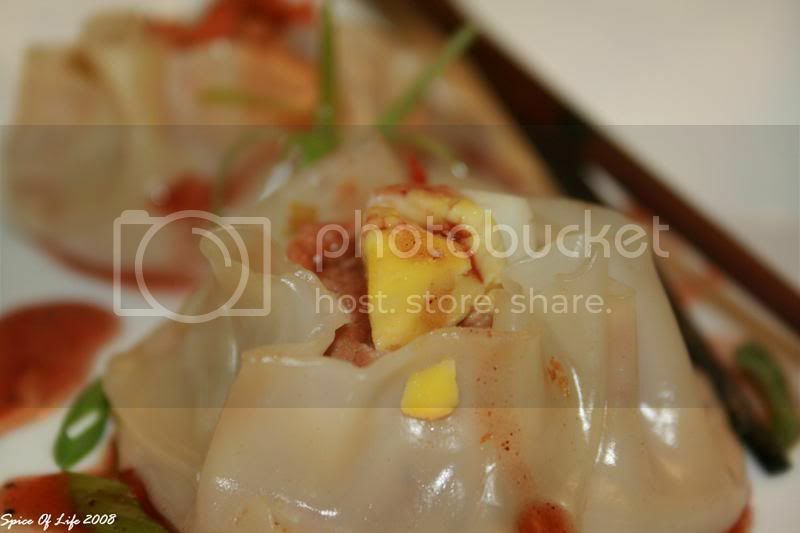 As you know, Asian cuisine is characterized by a lot of chopping, dicing, wrapping or rolling. Really, it’s the preparation part that is more time consuming than the actual cooking in itself. But hey,if you love Asian food, then it’s going to be worth your effort. 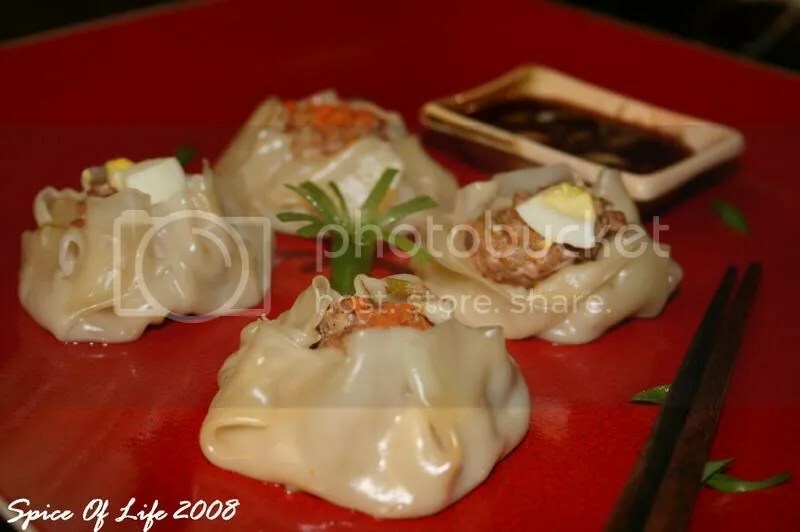 You can serve these dumplings as appetizers, but my hubby and I often eat these for dinner, with a simple noodle soup perhaps. These yummy little things are light but filling. The recipe below really is for you to learn the method more than anything else. These dumplings are so versatile that you can change up anything from the meat, to the vegetables and the topping. Here, I used shredded carrots and boiled eggs as toppings. But you can also use shrimps, mushrooms, crabmeat, chopped scallions or quail eggs, or anything that might strike your fancy. You can eat these with or without the dipping. But I love dips and sauces, so I chose to make a simple dip to go with my dumplings. There are many options to use as a dipping sauce. There is the bottled Thai/Chinese sweet chili sauce, or just the Hoisin sauce. What I did this time is a mixture of Hoisin sauce thinned out by a bit of lite soy sauce, and I added a bit of the garlic-chili paste for a little kick. If you want your sauce to be a little bit sweeter, you can either add more Hoisin, or add just a touch of honey. 1. Throw in the food processor the carrots, garlic, ginger, chestnuts. Pulse a few times until vegetables are finely minced. You can also do the mincing by hand. The important thing is that thye veggies are minced finely. 2. Pour the processed vegetables in to a large bowl. Add the scallions, sesame oil, egg, soy sauce, oyster sauce and chili sauce (if using). Mix well. 3. Add the ground pork to the bowl and mix thoroughly, making sure that the spices and veggies are thoroughly incorporated. Do not overmix meat. 4. Working with one wonton wrapper at a time, (cover the rest with a damp paper towel to prevent from drying), spoon about 1 tsp meat mixture to the center of each wrapper. Moisten the edges with water. 5. Gather up and crip the edges of the wrapper around the filling; lightly squeeze to adhere to filling, leaving top open. Place your topping on top and gently press into the filling. Place dumpling on a baking sheet; cover loosely with damp towel. Repeat procedure. 7. If using a bamboo steamer, add water to skillet,about 1 inch deep; bring water to boil. Place steamer in pan and steam dumpling for 15 minutes or until done. 8. Remove dumplings from steamer. Serve warm with the dipping sauce. Discard cabbage. 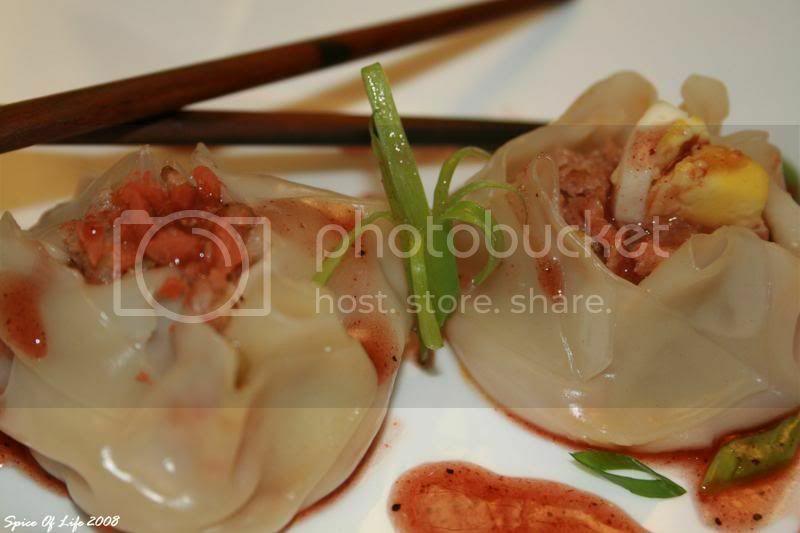 *NOTE: Lining the steamer with cabbage leaves ensures the dumpling won’t stick to the bottom of the steamer.